I have recently published a list of 100 low competition keywords on this blog. Users enjoyed and loved that article too much. Today I am going to list 5 best low competition keywords finder in this post. These tools will help you in finding those keywords who have very less competition and can easily be ranked in search engine result pages. After adding the list of low competition keywords, I realized that only 100 keywords would not be enough for any web or blog owner. No doubt, I am updating that post with new ideas and keywords. You can follow that list too along with the guidance of this post. In this post, I am not going to list the keywords but the tools that I use in my keyword research to find low competition keywords. Once you get these tools then you can easily find and search thousands of low competition keywords in a few clicks. 6. Help in SEO and getting natural backlinks from other sites. I have personally been using this tool for last 1-2 years. This tool performs better than others and gives the keyword difficulty level ideas. It shows the difficulty level on the scale of 1-100. If the keyword difficulty level is higher then it means the competition for that particular keyword is also higher. It is suggested to target only those keywords having keyword difficulty level is less or equal than 30. Sometimes, you may find some keywords with Zero competition that means there is no or very less competition (sites with low authority). Luckily, SEMrush is providing 30days trial access for their PRO version for free to the readers of Tips2secure. You should grab that free trial offer. While talking less competition keywords finder tools how one can ignore KWfinder. It is also one of my favorite tools. I use this tool occasionally, as the data of KWfinder is not latest (updated) at all. Sometimes, it does not have some important or latest trending keywords in their list. KWfinder also helps in finding long tail keywords which are ideal for SEO. If you are serious about your blog/website ranking then you should never miss Long Tail pro. This is the only tool which has been recommended by top SEO gurus and professional bloggers. This tool helps in finding the long tail keywords with their competition level data. This tool uses unique algorithms in the research of keywords. It analyzes the DA, PA and other ranking signals of the sites already ranking in SERPs and then shows the competition level data of keywords. Read more and use Long Tail for free for 15 days here. I have listed KeywordTool.io at the fourth position in our list and it is also one of the best performing low competition keywords finder tools. It integrates Google Instant and Google Suggest in an easy to follow ways. Trending keywords have always less competition for you only if you grab the keyword at the right time (before others). 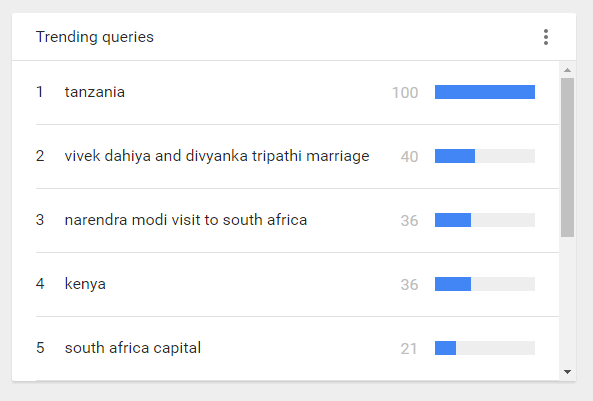 Google helps in finding the trending keywords. How to become an Expert Keywords researcher? If you want to make yourself an expert keyword researcher then you will have to follow a simple but un-revealed trick. Let me explain the secret. If you really want to work as an SEO expert then don't depend on the results of any single tool. You should make a combination of tools to get most desirable and accurate results. This is the step used by pro bloggers. You may use Google Adwords keyword planner to check the monthly search volume and SEMrush/Long Tail Pro to check the Keyword difficulty level of that keyword. You can make money by researching on keywords without any blog or website. Yes, it is true. Let me explain how? 2. You can start offering Keyword research services. 3. With the help of above-listed tools to find low competition keywords you can easily complete the task of your clients and you will earn a handy income. Here is the complete guide on how to set up a Gig and sell them on Fiverr. You can open Fiverr and search this term, "keyword research" and there you will find lots of Gigs offering the same service of doing keyword research to find fewer competition keywords. Sellers of those Gigs are making a handy income. So, this is the end of this post. I would like to hear your views and comments regarding this post. 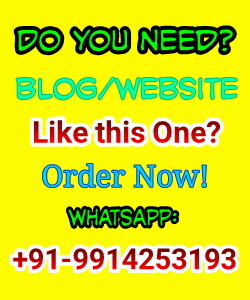 If you have any doubt or query regarding this post then you can ask your queries here using the comment box. Also, if you like this post then share it with your friends using the sharing buttons added below the post. Message: I hope that you have enjoyed '5 Best Low Competition Keywords Finder Tools 2018 [Updated List]' article. However, if you want me to deliver more items, then please share my post. You can use Social Sharing Widget provided at the end of every post. After all, Sharing is Caring! I prefer KW Finder because it uses colors (green for easy, red for hard) to show you the difficulty in ranking for select keywords.